kratosteam - MORINI IL BARBARSERKER. LA VIA DEL GUERRIERO NON CONOSCE SCONFITTA. IL KRATOS TEAM NASCE NEL 2008 CON LO SCOPO DI FORMARE ATLETI E AMATORI DELLE VARIE DISCIPLINE PRESENTI NEL METODO DI COMBATTIMENTO. LA NOSTRA SCUOLA VANTA PRESTIGIOSI PIAZZAMENTI INTERNAZIONALI E INNUMEREVOLI TITOLI ITALIANI, SONO INFATTI PRESENTI ATLETI CHE HANNO L'ONORE DI RAPPRESENTARE LA NAZIONALE ITALIANA. IL CORSO DI MMA-GRAPPLING E' TENUTO DA NICOLA STEFENELLI. CINTURA NERA E ISTRUTTORE DEL METODO KRATOS. ATTUALE NAZIONALE NELLA SPECIALITA' GRAPPLING KG -92 FIGMMA E PIU' VOLTE AZZURRO NELLA FEDERAZIONE ADCC SUBMISSION WRESTLING NELLA CAT KG-88. IN QUESTA SPECIALITA' VANTA 2 TITOLI ITALIANI ADCC ED 1 TITOLO IN FIGMMA. 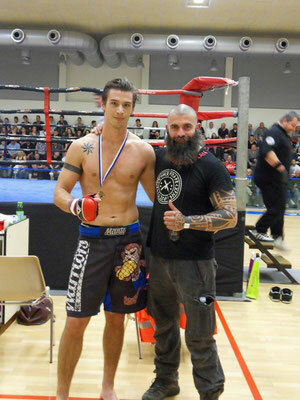 NELL'MMA E' CAMPIONE ITALIANO SHOOTO CON UN RECORD DA DILETTANTE DI 8-0-0. I CORSI SONO APERTI A TUTTI. 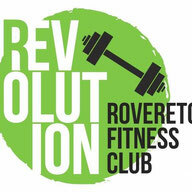 PALESTRA ROVERETO FITNESS CLUB SITA IN ROVERETO IN VIA TRIESTE 33.